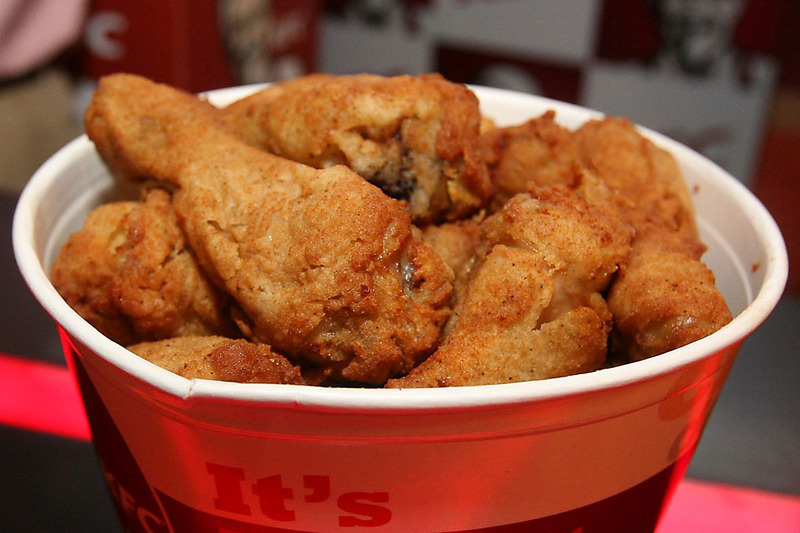 It’s no secret we have Colonel Sanders to thank for finger-lickin’ good chicken. But few know the actual facts behind the Kentucky Fried Chicken founder’s hard fought rise to culinary fame. It took a lifetime of self-discovery before Harlan Sanders perfected the fried chicken recipe, making him the legend he is today. But it wasn’t until KFC founder Colonel Sanders accepted Jesus Christ into his heart that he finally felt true fulfillment. And the Colonel’s testimony just proves it’s never too late to let God in! Before he was given his honorary Colonel title, presumably from the Kentucky governor, Harland Sanders was born into a poor family in 1890. His father died while the Colonel was at a young age, and the boy helped his mother by feeding his siblings. The Colonel’s time spent in the kitchen would serve him well later in life. It would just take a while before he’d realize it! Some know right off the bat what they’re meant to do in life. Colonel Sanders was not one of those people. The Colonel dropped out of school in the sixth grade. At 16, he fibbed about his age and joined the army. He served in Cuba for roughly six months before he was honorably discharged. Some suggest it’s because his true age was discovered. At 18, Colonel Sanders married Josephine King of Jasper, Alabama. By 19, he was blessed with his first child — a baby girl they named Margaret. The couple had two more children together, but the Colonel’s lack of direction took its toll on the marriage. Most of Colonel Sanders’ life was spent meandering between different jobs, trying to find the one that best suited him. He tried his hand at living life as a farmer, streetcar conductor, soldier, railroad fireman, lawyer, insurance salesman, steamboat operator, secretary, lighting manufacturer, and a number of other jobs, including hotel owner and restaurateur. Some jobs he lost, but most the Colonel simply tired of. He was searching for something . . . he just didn’t know what. At one point, Josephine took the kids and moved back in with her parents in Jasper. Presumably, she was tired of the Colonel’s career hopping. He was distraught, and went to the home of his in-laws. The Colonel hid in the woods near the home, planning to kidnap the kids when they came out to play. But God was at work! The kids never came out, but Josephine’s father did. He and the Colonel wound up having a deep conversation. The Colonel’s father-in-law took him inside, and he was able to reconcile with his wife for a time. Colonel Sanders continued to bounce from job to job, and eventually his marriage with Josephine came to an end. While running a Shell service station, Colonel Sanders started cooking again — running a cafe out of the station. By 65, the Colonel sold his first restaurant and dedicated his attention to developing the Kentucky Fried Chicken franchise. He’d finally found his true calling. By 73, Colonel Sanders sold the KFC corporation for $2 million dollars, and was at last financially secure. But all that searching was not quite finished yet. Now that Colonel Sanders was a successful business man, you’d think he’d be satisfied. But something inside him still yearned for more. The Colonel started attending church, and befriended a pastor by the name of Waymon Rodgers. At one service, Waymon knelt down next to the Colonel, asking if he’d like to be born again. “I really would. Do you think that Jesus could save me to the point where he would take away my cussing?” the Colonel tearfully replied. The man was known for having a pretty foul mouth. But something special was happening that night. “Colonel, God is going to save you tonight and you'll never cuss again,” Pastor Waymon told him. And in that moment, Colonel Sanders accepted Jesus into his heart. He’d finally found the fulfillment he’d been seeking his whole life. A few days later, he told the Pastor how everything had changed. From that point forward, the Colonel allowed God to change him in many ways. He was baptized at 77 in the River Jordan, and even experienced a divine healing. Pastor Waymon prayed over Colonel Sanders as he headed into surgery for a growth on his colon. But the next day, the Colonel received incredible news. "I don't need surgery. My pastor came in and prayed for me and God healed me. The doctor said, ‘Colonel, when I opened you up there weren't any polyps.'" And as God worked in the Colonel’s life, he developed a deep passion for giving back. "I always figured there is no use being the richest man in the cemetery. You cannot operate from there,” Colonel Sanders said at 90 years old. "People don't know that I gave most of my money away. Most of it goes to churches."